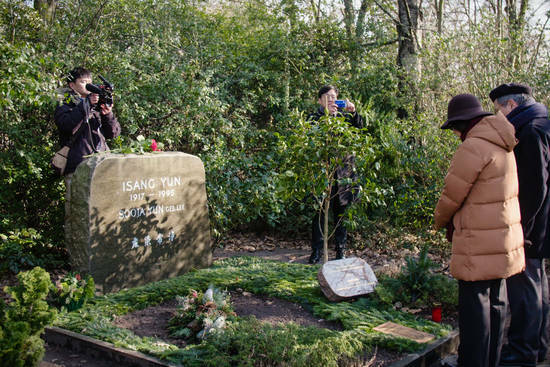 The South Korean cable channel ARTE TV came back to Berlin for filming of a documentary on the avant-garde Korean composer Isang Yun. 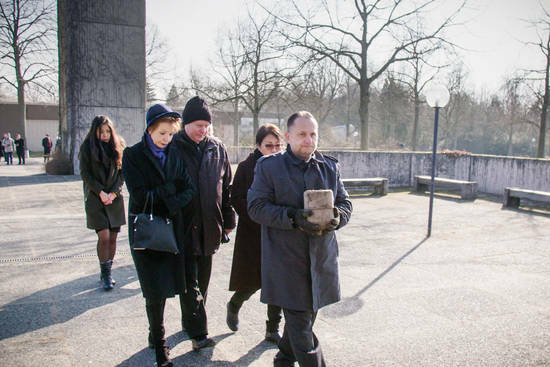 Yun was buried in Berlin after having spent most of his adult life in exile in West Germany. Following a forced detention for political reasons in South Korea during the 1960's, Yun never returned to his home country. After his recent rehabilitation in his home country, ARTE Korea commissioned a two person crew to document the ceremony marking the transfer of Yun's remains back to his hometown in Tongyeong.